Moncler gilet with quilted front and contrast cotton back. 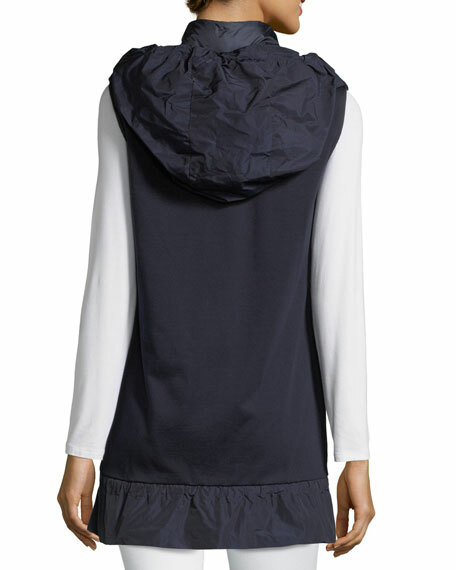 Stand collar; removable hood with button front and drawstring. For in-store inquiries, use sku #2410231.